I put on makeup today! Quite a feat when you stop to think about it, I had a migraine, felt pukey and shaky, along with having a horrible back ache. I decided while in the shower I was going to do my nails to match my eyes, but then I got absorbed into Facebook (I meant to have this posted an hour ago....) Anyway.... on to my eye! 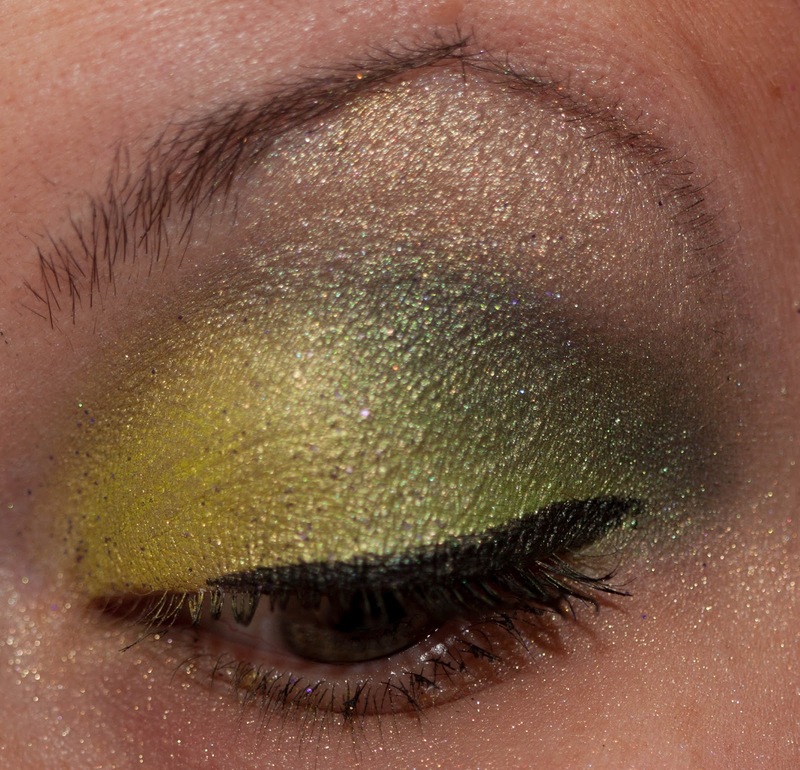 For today's look I used Virus Insanity Eyeshadow's Carnivale Chaos, Madd Style Cosmetics' Ecto Cooler, Unique Pigments' Wicked Witch, and Innocent + Twisted Alchemy's Tragic Chord for highlight. 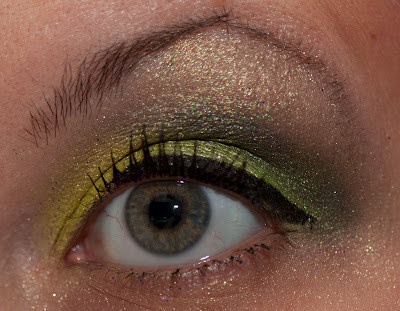 Greens are my favorites to wear, though I shouldn't wear them as much because I have green eyes. Who cares, really? Not me. What are your favorite colors to wear?